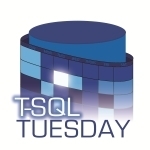 I thought about doing my T-SQL Tuesday post on statistics as well. My idea was the perception that SQL Server won’t use statistics that are too old. In the end, I chose something totally different. I think statistics is very misunderstood and a great topic for the subject of misconceptions. You definitely tackled one of the misconceptions well!! When you update statistics, it doesn’t cause a recompile of all query plans that reference the table. It only causes a recompile of the plans that reference the statistics (or index owning the statistics) in the query plan. For example, if I have a query plan that is performing a clustered index scan instead of a nonclustered index seek, and I update statistics on the nonclustered index, this query plan does not get recompiled because it does not reference the index. It is recommended to call sp_recompile on the table to force recompile of all query plans that reference the table. I’m referring to statistics on a table (i.e. 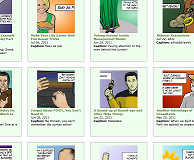 all it’s indexes and stats) are updated. For the syntax I mentioned, all stats and indexes are updated (unless I’m wrong on that point, but I don’t think so). But it’s a fair point. Especially in this post. Even though updating a tables worth of statistics amounts to throwing out the plans that depend on that table, it’s the dependency on the stats or indexes that cause the recompile. The whole point of my post is to know the correct reasons why things happen in SQL Server. So I should have been clearer on that point. Thanks for reading and commenting Robert! I like that there’s someone out there reading my posts. Keeping me honest. Yes, you’re right. In that case, it would recompile all plans using that table! !